Who knows, maybe in 2012 all of these teams here will make it? It’s almost that time of year again, when we as American soccer fans get to observe our own professional league arrive late on the scene (yes, MLS calendar, I’m looking at you). Along with its arrival come several changes: homegrown players look to play a bigger role for their respective teams, the reserve league is on the up and up, and the new Generation Adidas class looks stronger than ever. But the hotly contested issue coming into the season won’t rear its ugly head until the season’s conclusion. The monster in the closet is the MLS playoffs, of course, and it was highlighted last week when MLS announced the revamped format. The point of contention—for me, at least—concerns the number of teams involved; ten out of the now eighteen teams will participate in the playoffs—six spots for the top three teams in each division, as well as four wildcard spots allocated to teams regardless of division. Garber himself has said that the change was an anticipatory one. MLS intends to have 20 teams by 2014, with suitors for more expansions in addition to these. The addition of two more playoff spots gives added incentive for teams to perform well during the regular season—teams will fight harder to make those last available spots, so the argument goes. The antithesis can also be true, however—what is to prevent mediocre play during the regular season if there are more opportunities for mediocre teams to win the MLS Cup? The cup’s history has proved this point—higher seeded teams are not typically winners of the tournament, so simply making the tournament provides a team with more than a glimmer of hope. This is where the soccer fan in me conflicts with the American in me—to what extent, if any, should playoffs serve as the culmination of a professional soccer league? Garber’s point in the interview mentioned above was that the middle teams in the league now have more incentive to play as more playoff spots are available. Even if I allow Garber’s position on the expanded playoff format for the sake of argument—and that’s allowing a good bit—the problem remains of how one rewards consistently good play on the pitch. The most recent season serves as a good example—the L.A. Galaxy, as Supporter’s Shield winners, played their first playoff game at Qwest field (also the location of their first home game this season). They were eliminated by FC Dallas in the second round (a well-deserved win from Dallas, to be sure). Colorado, the seventh seed, went on to hoist the cup, with Butterball Casey being named the MVP. For this reason alone, Garber’s explanation that the expanded playoff format will make for a better season isn’t good enough for me. Even if the top seeded team plays a wildcard team, the tourney’s history doesn’t offer adequate evidence that this is in fact a bonus to winning the season. I won’t offer extended details on how the MLS tourney stacks up (unfavorably) with other American sports—as that topic has been thoroughly explored. What concerns me is that the soccer season is much more saturated with tournaments than are other American sports. • Apology #1: Completely flubbed the Borussia Dortmund preview over the weekend and as such we’re not fit to comment on their shellacking of Bayern Munich with a starting team that averages 22.8 years of age. • Apology #2: Daniel Sturridge. We were wrong. You are good. And you’re actually making that Fernando Torres purchase (wouldn’t Chelsea rather have someone like Ashley Young creating some width?) look pretty short-sighted. • Apology #3: Scotty Parker with one of the best goals–easily–of 2011. Parker with a crafty little give and go received a pass back on the wrong foot and toe poked the ball in. Ho-hum you say? That toe poke was passed Pepe Reina and clinked the inside of the left post….oh and it was near the 18′! We mused it on Saturday. Kind of hard to put Michael Bradley in as a starter against Argentina unless he starts getting some games in our opinion….if only because Stu Holden and Maurice Edu are playing so masterfully. Then there’s Jermaine Jones. Will be very interesting to see Bob Bradley does unless MB90 starts going 90. Had this sentiment for a while and just not keen on a whole column on it. Added bonus of a reserve league and the increased talent level seeing the pitches in MLS these days? How about bringing in foreign dollars on players sales (not consequential yet, I know), in other words using foreign investment to fund the domestic league. Hiccup here: Probably a bit easier if the transfer seasons matched, you know? A methodical Milan squad today (excepting Robinho here who is quietly having a wonderful season) versus the frenetic chaos that is the Napoli attack. If Milan wins they build on their Serie A lead, if Napoli wins, they co-habitate that top spot with the Rossoneri in the race for the big cannoli. The game is on ESPN3.com and FSC at 11:45 PT. Edson Buddle scores (on Luis Robles) in FC Ingolstadt 04 4-1 win over Karlsruher. By my recollection, that’s six games (only three as a starter? ), two goals, and 1 assist for the US striker who came in straight from an offseason regimen and plays for one of the poorer Bundesliga 2 sides currently (read: “not great service”). Yeah, he probably doesn’t have the chops. • U-17, but not playing like it. The US youngsters captured the CONCACAF U-17 title for the Yanks last night. Nathan Smith with the exclamation point boombosa in extra time. • Africa: The rich getting richer? Ghana, the only African nation to make it to the Round of 16 at World Cup 2010. Now, word out of London (courtesy DTH in the TSG commentary section), that super Arsenal starlet Emmanuel Frimpong–who had donned the Three Lions garb at the U-17 level–will likely play for the Black Stars. Speaking of Arsenal, the Carling Cup runner-ups, who somewhat incredulously allowed an Obafemi Martens open-netter in the waning minutes of regulation, Professor Arsene Emirates and his troops will need to hold the fort in a hurry. Leyton Orient, who surprised Arsenal, at the end of regulation just two Saturday’s ago, pays a visit in the race for the next piece of silverware, the FA Cup. How will Arsene deploy in this one? I feel for Arsenal fans–and got some stick on Twitter for some jokes–but Arsenal is cursed at keeper. Like the clichéd business axiom (“insanity is doing the same thing over and over again and expecting different results”), Arsene Wenger still believes he can “skimp” on a keeper and develop one with all the skills over time. It just doesn’t work like that. Good keepers are imported (Van Der Saar, Cech, Reina, Howard to name a few). Just to break the spell, you have to get one. Who cares if every team holds you ransom? It’s a known weakness. Just bring in Hugo Lloris already. On the morning of Sunday, 27 February 2005, I sat in front of my grandmother’s computer with my coffee. It wasn’t particularly early but I was the only one up. Outside a couple feet of week-old snow was graying beneath low, spitting clouds that seemed to have lost their way heading over to Atlantic. I was listening to a BBC feed of the Carling Cup Final between Liverpool and Chelsea. Not so long ago there wasn’t much television coverage to be had of English football in that corner of the world, tucked next to the swollen expanse of the Connecticut River before it hits the spillway of the hydro-electric power station a few miles downstream. This is the town where Carlton Fisk grew up and with my Grandfather as his coach dreamed of playing NBA basketball. The high-quality streams of 2011 that regularly rescue me from agonized boredom at work on Champions League match days had not yet come to fruition. Twitter, the social media drug that helps American footie fans feel less alone during those fleeting 90 minutes, wasn’t created for another year and wouldn’t take off for another 5. I’d been going to Chelsea fairly regularly at that time. A year earlier, I’d watched Arsenal become the last team to beat us at home for a lengthy stretch that Liverpool eventually ended. Mourinho arrived that summer, proclaiming himself special, and we believed him as he turned the Abramovich circus into real contenders. After comedic exits and unmet expectations of the previous season, finally there was a chance for glory as the Millennium Stadium roof held off February darkness. But on the first day that season when silverware was on the line, I was returned to the states with my son, his age registering a handful of months. It’s only the League Cup, right? Try telling me that as I jumped up and down celebrating the trophy in a solo victory dance, for any soul to see through the glass panes of my Grandparent’s sun room. There are a few Arsenal fans I know who’d like a trophy. When your trophy cupboard has run bare for a few seas ons, the Carling Cup is as good a place to restart your collection as any. No one will confuse Birmingham for Barcelona, but the vagaries of one-and-your-done cup competition have led them to the final. 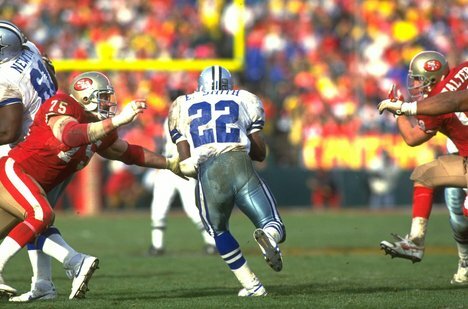 And as football has shown us time after time, any team can ride their luck to beat any other on any given day. For Birmingham, an upset would be a highlight of a season spent trying to avoid slipping down into the league below. If Arsenal overcome the adversity of losing their talisman captain, it won’t be any less a victory than winning any other competition. 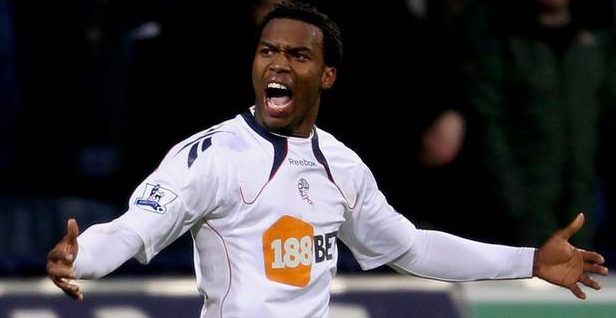 A club with ambitions will always consider the Carling Cup a jumping off point for greater things. Yet the emotions of the singular cup final moment might even rise above clinching the league on the back of a season’s work and a series of results that ran your way on a particular spring day. For me, winning the League at the end of the 2004-2005 season couldn’t top that Sunday morning in February, alone at the computer. I was instantly transported to Cardiff, to the impossibly green pitch of my imagination, to share in a first taste of the season’s glory. 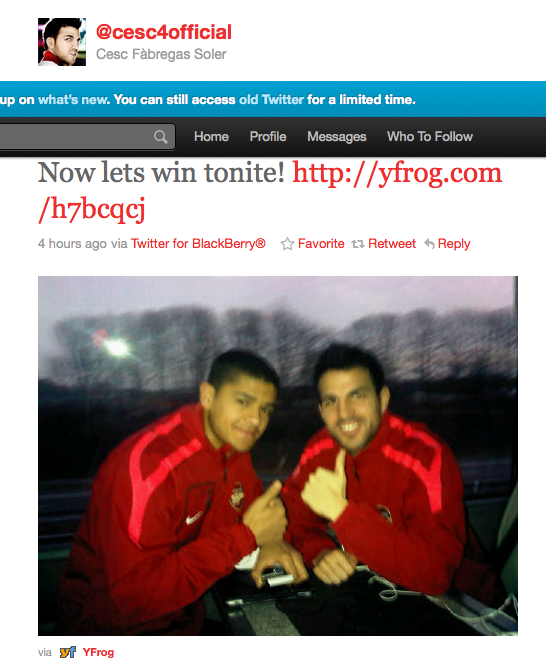 Will Cesc give the thumbs up again on Twitter and be good to go? 5. 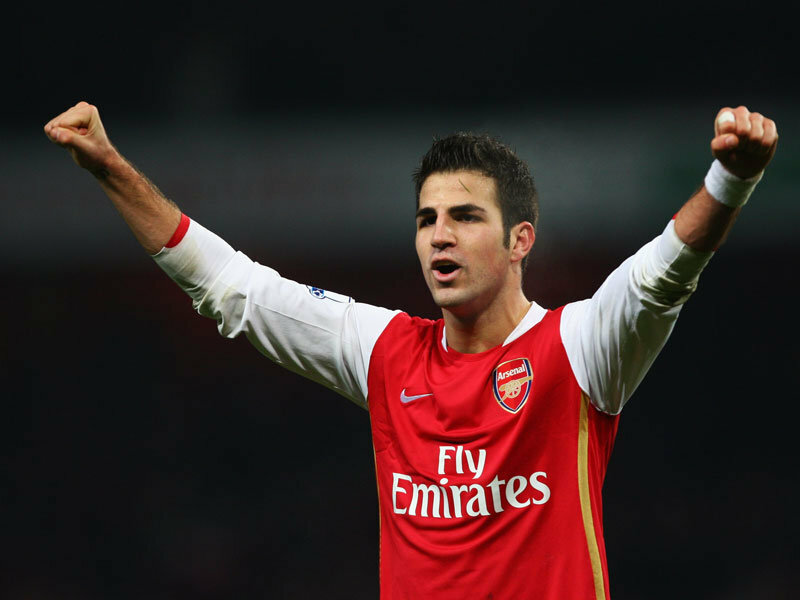 Carling Cup Finale: Will Professor Emirates Cesc Fabregas Teach A Lesson? The skinny: Arsenal skipper Cesc Fabregas skipped out at the 14th minute–actually more like stumbled out with a hamstring ailment–of Arsenal’s 1-0 war of attrition win over Stoke City on Wednesday. The midfield maestro has vowed to make every effort to be fit for the final at home. Same story for Birmingham. Stout at home alone, minimal use of offense to achieve maximum gain on the season. This will be a defensive struggle with Birmingham closing up shop for long stretches. It makes the top five solely on the oft-chance that Zigic can deposit one early for the visitors and make Arsenal truly play for it. And who knows, maybe we’ll get a Beckham-esque shot of Brum trialist Ale Bedoya in the stands. That’d be nice. The skinny: It’s been “pile on” Sevilla lately and rightfully so. WCJD: What Can Jesus Do.....to prevent Sevilla from sliding? Last year’s Copa Del Rey champs got bounced from the competition by Real Madrid a few weeks ago. This week, despite a 1-0 win away at El Porto, Sevilla is out of the Europa Cup. Los Rojiblancos are reeling and (courtesy Sid Lowe’s excellent article here) far off the pace that made them the winningest team in Spain from 2005-2008 and….a joy to watch. This weekened? Against the team just below them at #8 in the table: Madrid. Next week? The other Madrid at home. Big game for Sevilla if they hope to hold on their slim Champion’s League dreams. They’ve got the veterans in Kanoute and Fabiano and then young heir apparent in Jesus Navas to make a run. Can they do it? The skinny: Obviously, the story Stateside will be the marquee match-up in the midfield between Jermaine Jones and Michael Bradley, however the bigger story might be the entrance of Mauro Formica on the Barclays scene. 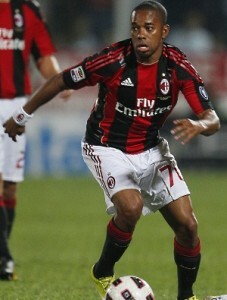 The Argentine was purchased by Blackburn in January of this year after moves to Genoa and Monaco fell through. While he’s been compared to “a young Batistuta” by Blackburn manager Steve Kean, the 22-year-old is really more a true #10 playmaker in the vain of a Kaka, something the Rovers could sorely up top (as evidenced by erroneous rumors at a pursuit of the original Brazilian man). With players out on both defensive sides–Carlos Cuellar for the home side Villians and Phil Jones still for Rovers–look for some scores in this one as Villa haven’t kept a clean sheet in more than 15 games and the Rovers have conceded–I believe–in every away game of the campaign. 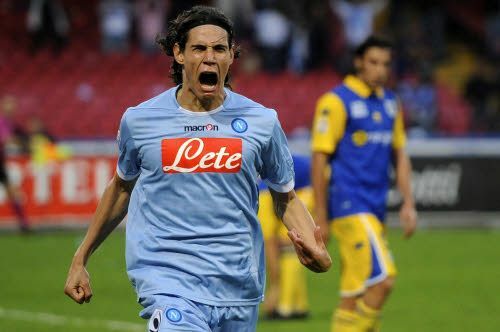 TSG’s team du jour, Napoli, who as I write this find themselves down 2-1 in the Europa Cup having rested Cavani for the bulk of the match, take on Milan at the San Siro in another battle of two versus one. Lot of tangents in this one, not least is which will Milan deploy their “Thug Life” midfield in a hope to slow the Napoli attack. The Azzurri will want to press the attack, but by the same token they’ve conceded nearly two-thirds of all their goals away from home this year. A battle of styles and wills and Cavani looks to bundle on to his league leading twenty goals on the campaign and a win away from home means things are even up for the teams in the race for the Scudetto. First, let me get this out of the way. I, nor you, are this guy on the right...who has every right to celebrate....but rarely does in an audacious manner. Had to put my soccer skills in perspective first. I’m lucky enough–and longtime readers know this–to play on a rec league team with a fair bit of talent. I’m a complementary player, a pretty selfless (I pride myself on that) player and I don’t give up on defense. On the attack, I’m a decent passer–those skills honed through years of getting rid of the ball quickly because my offensive moves are about as creative as a peanut-butter and jelly sandwich. There’s a common axiom in business–and in sports too. Act as if….you’ve been there before. If you’ve just become a CEO, act if you’ve been one before. Sales guys preach this as well. That BMW a sales guy is driving? Well, it’s true many of them are going for the big spender-big ego-compensate thing, but another more meticulous and success-minded group wants to ooze that success when you meet them off-site. Act as if. Act as if carries over to sports as well. Larry Fitzgerald embodies it when he scores a touchdown. Minimal celebration. Cranking back up the 2011 hype machine here at TSG. Stoking the engine with golazo burgers courtesy of the USMNT. The Don’t Tread Challenge is TSG’s search for for the most insanely awesome video that gets fans fired up about USMNT heading this year into the Gold Cup 2011. Voting will take place in May. I am a freshman at Ohio University and have played soccer all my life. I was born and raised in Columbus, Ohio and I’ll support the Columbus Crew and the USMNT till the day I die. Sometimes things just have to be sorted on the pitch.